Every student is encouraged to practice at their own pace and level. Beginners are helped to go slowly and practice at a level which is safe and appropriate. 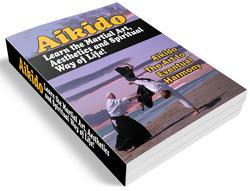 However, many beginners will experience some common difficulties that can be part of starting Aikido. The first difficulty is simply being a beginner. Everything will seem strange and difficult, and you will feel klutzy and out of place. Don't worry. Beginners are supposed to be beginners. The advanced people will welcome the opportunity to help you with your practice, just as they were helped when they were beginners. Beginners often feel uncomfortable being attacked or acting the role of the attacker. However, the attack/defense process is a model for all of life's challenges, and learning to handle feelings of discomfort in Aikido is a way of finding harmony in all of life's difficult moments. In Aikido, the attack is a gift which allows us to practice and grow. There is no ill will in the attack or the defense. Some beginners have an opposite difficulty: they feel that Aikido practice is unrealistic. 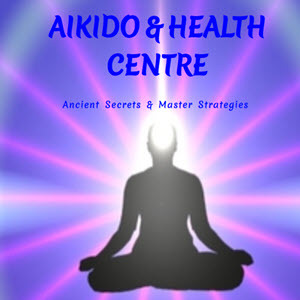 In order to be safe, Aikido must be "unrealistic" to some extent. Aikido practice is kata — that is, pre-arranged attack/defense movement routines. Kata are meant to create a safe practice situation in which you can learn the basics, so that you have general patterns which you can intuitively and spontaneously modify to fit the specific requirements of a real attack. Kata are not meant to be actual combat. Some beginners have a hard time accepting corrections to their techniques. It is hard for people to realize that such criticism is not belittlement but is offered as a gift and comes from a respectful desire to help people understand and improve. This is important. Mistakes are an opportunity to learn, and you will learn best if you enjoy discovering your mistakes. Try not to be ashamed of making mistakes. During practice, the instructor will ask people to help demonstrate the techniques to be practiced. Of course, someone has to act the role of the attacker in order for the instructor to demonstrate the defense. Many people feel shy about demonstrating in front of the class, but everyone gets used to it. It is an opportunity to participate and learn, but you can always ask not to be used if it makes you too uncomfortable. A few people may find that being attacked in Aikido parallels or brings up actual attacks they have experienced. If you feel this kind of discomfort, don't hesitate to ask the teacher for help. Another area of confusion has to do with individual learning styles. Everyone is different, and each person learns and teaches in her or his unique way. You may find that some styles of practice don't seem to "speak" to you and you may feel like avoiding them. Sometimes it is right to follow your intuition and practice the way you know you need to. However, if you avoid everything that is unfamiliar and confusing, you will miss out on new possibilities. Sometimes it is right to practice what you are shown, even when you don't understand it or agree with it. Normally, proper class etiquette is to practice respectfully whatever is being taught in class. If you are engaged in a practice that you feel is more than you can handle, you have options. In most situations, the problem can be solved by asking your partner to "go easier." But if this does not help, you can simply excuse yourself and move to practice with another partner or sit out the particular practice that is difficult for you. At the next immediate opportunity, you can resume normal practice. If there is some part of the practice that is too uncomfortable, talk with the teachers or advanced students about it and they will help you find a way to deal with it. You may wish to put off doing that part of the practice until you have more experience in Aikido. Usually it is possible to modify the training and make it more suitable for your stage of practice. In any case, as a beginner, you will never have to do anything that you don't want to, and you will never be made fun of. If you experience a problem or conflict with a specific person during practice, you could talk with the instructors about it, or you could talk with senior students if you would find that more comfortable. You could also arrange a meeting between you and the other person, with an instructor present to help. If you feel that you are experiencing a problem which affects the whole dojo, you could bring that problem up at one of the dojo meetings. Ask questions. If you have difficulties, talk with a senior student or an instructor off the mat when full attention can be given to your concerns. Most of all, remember that Aikido practice can be a lot of fun, and don't let the difficulties get you down.